We have our own thing going on at Neena too. Vali, a good friend of us, is making these cuties for our store. Each of them has its very own personality, some are funky and revelious and others are sweet as honey. 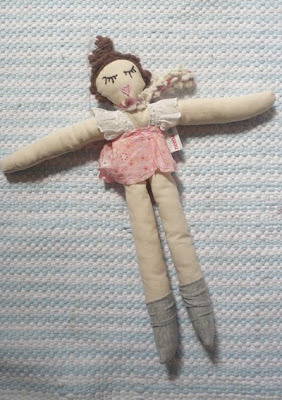 Vali uses old cotton shirts, torn jeans and wool and cashmere sweaters that have seen better days, and finds them a new life transforming them into this beautiful dolls.